Intle appears to be shifting its focus towards the Android operating system, and breaking away from years of optimizing its top line of Core PC processors—including recently launched Haswell processors—chiefly for Windows. Intel is looking for a program manager whose job will be to manage Android development for the company’s upcoming Core chips that are code-named Broadwell. Broadwell, the successor to Haswell, is due next year. The job listing on Intel’s website hints that Android development will continue beyond Broadwell and into future Core chips. Intel already backs Android for its low-power Atom tablet and smartphone processors, but the company has not yet talked publicly about Android for Core processors. Core processors have more advanced instruction sets and graphics capabilities than Atom processors, and those would need to be optimized for Android. Earlier this month, rival x86 chip maker Advanced Micro Devices moved away from an exclusive focus on Windows and said it will optimize chips for Android and Chrome OS—based on customer demand. Intel sees innovation among PC makers, and the company will support multiple OS choices, a company spokesman said in an email. PC designs are changing with tablet-like hybrids and convertibles, and Android could be used in some of those devices, according to Jack Gold, principal analyst at J. Gold Associates. Slow Windows 8 PC and tablet sales have hurt Intel and AMD, but neither will abandon Microsoft’s OS anytime soon. Intel’s aggressive multi-OS strategy will also help the chip maker compete with ARM, which dominates on Android devices. Android and Windows tablets that are priced from $199 to $500 and come equipped with Intel’s upcoming Atom tablet chips code-named Bay Trail will reach shelves this holiday season. 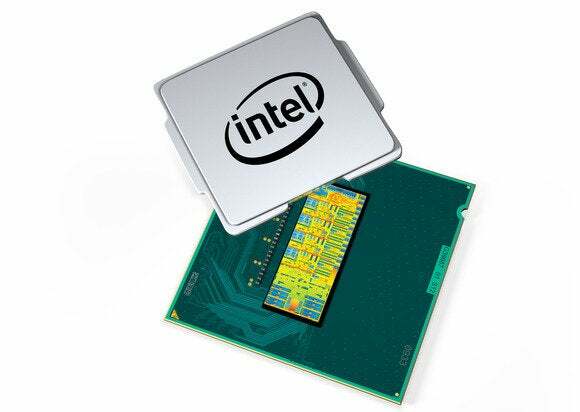 Intel has already started development of the next-generation Core processor called Broadwell. The chips will be made using the 14-nanometer process, and will initially be released for PCs.